My favourite country artists are Taylor Swift, Carrie Underwood, Miranda Lambert and The Wreckers. Have a listen to my fave of their songs throughout this post! Country music isn’t big in the UK – only Taylor Swift and Lady Antebellum have made some in-roads but it’s not really played on our radio. My exposure to country came from American Idol. Every year there’s usually a country contestant and a lot of county songs are covered and country artist come on the show as well. Carrie Underwood was the first country music I brought and I love discovering new artists to listen to. I love country music because of the way they use stories in their songs. Cheating, heartbreak, lost love, small towns, drinking, domestic violence, big dreams and rag to riches – it’s all their in a song accompanied by some catchy guitars. Country songs transport me to sunshine, driving down the road with the roof off or sitting on a porch in the evening rocking back in a chair. Country songs remind me of summer and make me smile. When the sun comes out, I like putting on a country song on the way to work. Mostly I listen to modern country which is a bit more poppy, although Dolly Parton’s Jolene is a good classic to bring out. Any country fans out there? Anyone visited or lived in Nashville? I’ll come with you to Nashville!!! 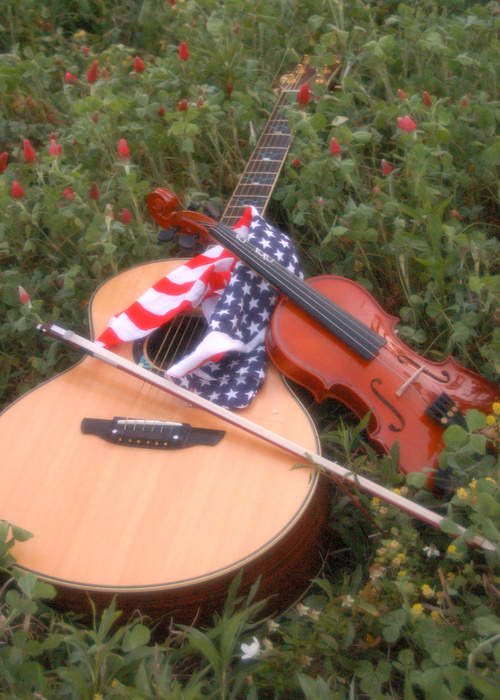 Me too – I have loved country music since I was a teenager in the UK! Have you heard of Keith Urban (married to Nicole Kidman)? He is absolutely fantastic – and an Aussie! I’ve never been to Nashville but would love to go one day and take in all the atmosphere. Woo! I have heard of him yes, I’ll have to look up his songs though. Looks like country is worldwide 🙂 Let’s all go! Johnny Cash is a great one. Ever see the movie “Walk The Line”? I remember I liked a lot of Shania Twain and Faith Hill when I was younger cause they seemed to mix the country with a bit of rock or pop. I do like Carrie Underwood. I honestly don’t listen to Taylor Swift much…not sure if I would like..something about her has always not appealed to me..not sure why though. I think Keith Urban is neat. I’m not a huge country fan but most of my friends are so I have to put up with it at least on some level! 🙂 I’m glad you enjoy it though! I feel like I could hang out happily with her! She does seem likes shes nice! 🙂 And certainly has songs I can relate to! Hmm, I’m not a country fan, really…when I visited Australia, it was EVERYWHERE!!!!!! I wouldn’t think it was that big over there, tend to think it’s just an American love! I’ve loved country since I was introduced to Garth Brooks in High School. You should check out Brad Paisley, Sugarland, Brooks and Dunn (now just Ronnie Dunn, Alabama, Reba McEntire, Trace Adkins, Josh Turner, and I am really loving the Zac Brown Band now! I think I’ve already mentioned I like Country. Taylor Swift is fantastic. I love the “our song” our song is the slamming screen doors, tapping outside my window or when you talk real slow, because it’s late and your momma don’t know. She comes up with the cutest things, and I like because she writes them herself, I believe. I love ‘Our Song’ too, just right for singing along! She’s so talented at writing songs! I love Before He Cheats, the video is in my post too – great song! I’ll have to check out Randy Travis, not heard his music before. I like all kinds of music, including country. Check out Kenny Chesney, Sugarland, Lady Antebellum, and Darius Rucker. I went to Nashville in high school for a chorus trip. When Christopher and I first started dating we agreed that we didn’t like country music. 3 years later he decided he missed his small town country roots and started listening to a country song here or there. Didn’t bother me that much at the time. Mostly I just picked on him for it and didn’t listen to it. 6 months later we were planning music for our wedding. He had this song that he said reminded him of us in some ways. It was called “One Boy, One Girl” so I listened to it. Teared up. And decided maybe just maybe not all country music was complaining in twang (my wife left, my truck broke, my dog died… etc). I love that song and Colin Raye!!! I can’t believe that I forgot to list him. #2 only to Garth Brooks in my book!!!! Off to listen to some Colin Raye now!!!!! Haha love how you’ve come to enjoy it. I def think music tastes evolve through our lives. I’ll have a listen to that one! No judgment, I don’t really love it. That being said, I do like Patsy Cline, Johnny Cash and Kenny Rogers (he’s the Gambler!!!). But I think it’s funny that you secretly like it, you know that made me smile. And that’s what makes life so interesting all of our differences, it would be sad if there was only one type of music. I think for me country makes me sad, because old school country was about all the sad things that were going on in your life. You know there’s a song called, “There’s a tear in my beer cuz I’m cry’n for you dear”? That’s right, tasted change for sure! I like Dixie Chicks too, I’ll have a listen to the rest!